Lawrence H. Levy is a novelist, and award-winning film and TV writer. 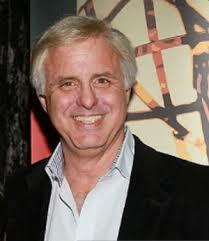 He is a Writers Guild Award winner for Seinfeld, and a two-time Emmy nominee. He has written for various hit TV shows such as Seinfeld, Roseanne, Family Ties, Who’s the Boss, Facts of Life, Seventh Heaven, The Love Boat, Fantasy Island, Charlie’s Angels, and Saved by the Bell. When he hit retirement age, he didn’t slow down. He shifted writing gears to become an author of historical mysteries. “Second Street Station” (2015) is his debut novel and “Brooklyn on Fire “(2016) is his second book. A born raconteur, he has spoken and taught at the Classic TV Preservation Society, Loyola Marymount University School of TV and Film, UCLA and USC Film Schools, and Temple Beth David, to name a few. For availability and speaker fees, please contact Lawrence H. Levy’s speaking agent at Chartwell here, or call +1 972 385 1021 for U.S. inquiries or +44 207 293 0864 for international inquiries.